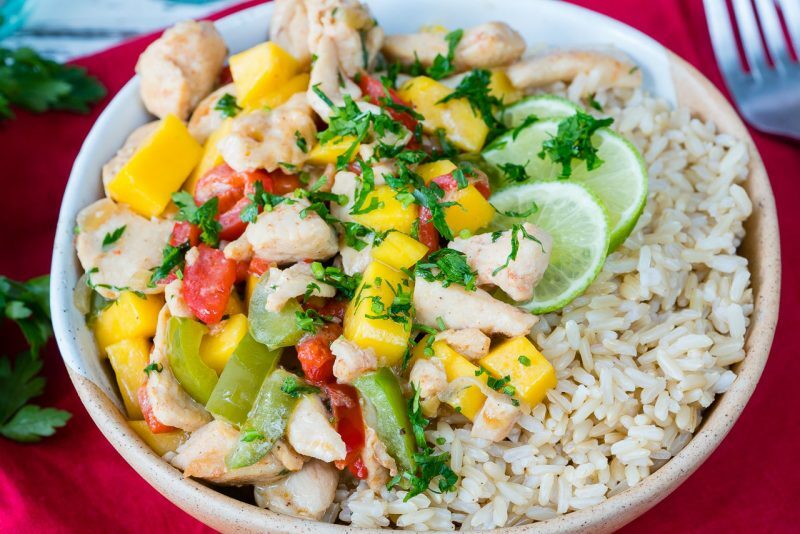 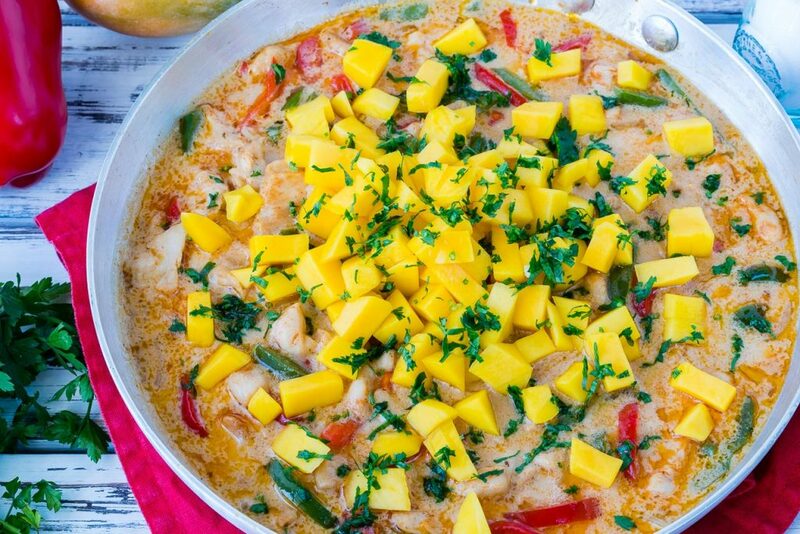 Coconut Mango Chicken for an Exotic Flavor Bursting Dinner Idea! 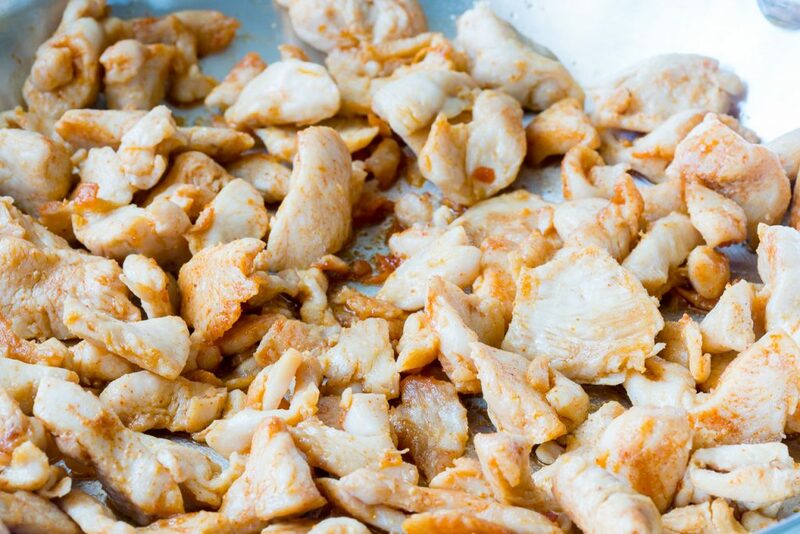 Heat oil over medium-high heat in large skillet until very hot. 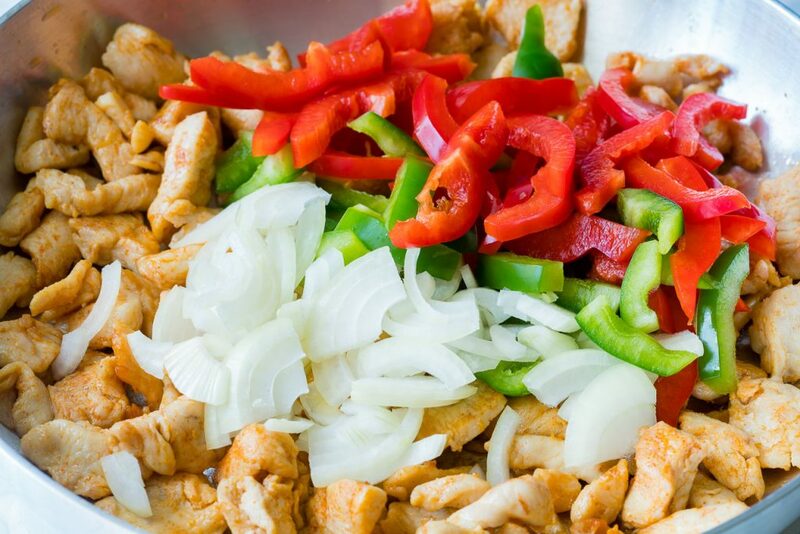 Add chicken and cook while stirring, just until pieces start to brown, then add peppers, and all seasonings, then continue to cook for 2 minutes. 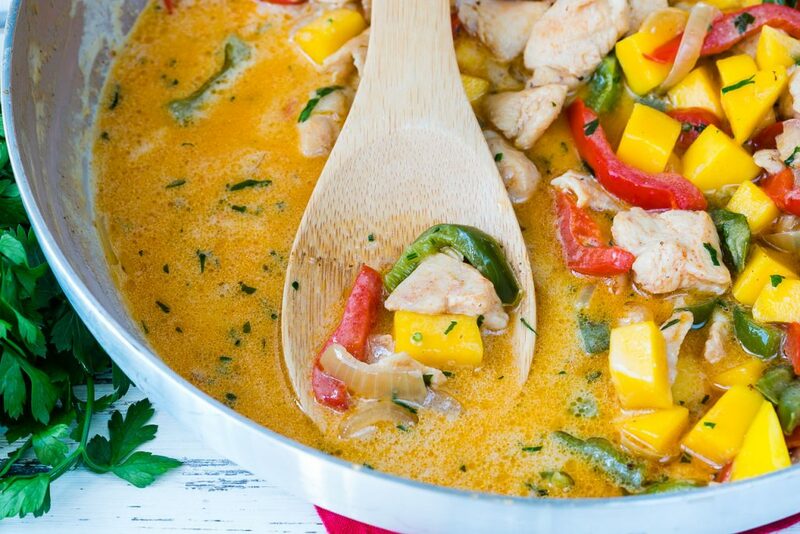 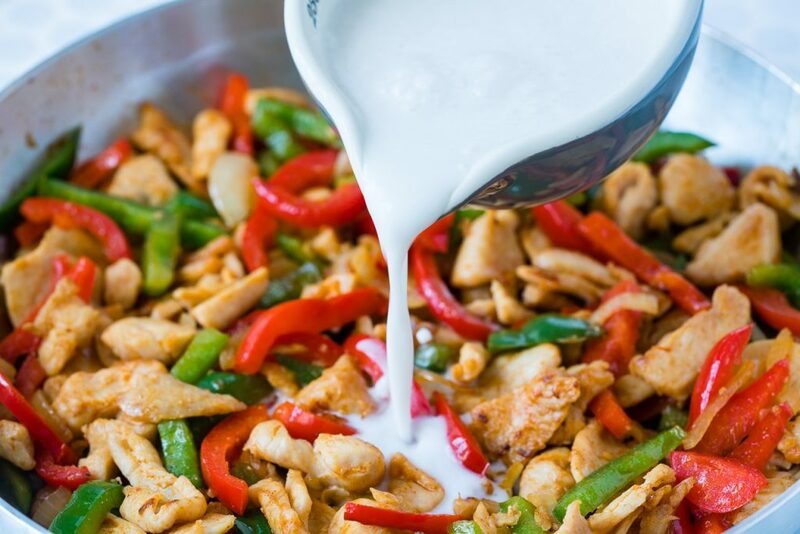 Stir in coconut milk, lime juice and cook while stirring, just until chicken is cooked and sauce is heated through. 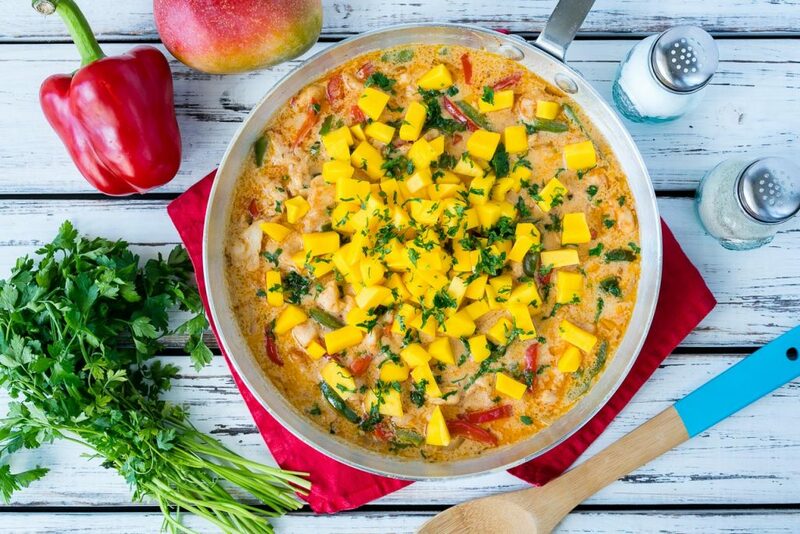 Top with fresh mango and garnish with fresh parsley/cilantro.